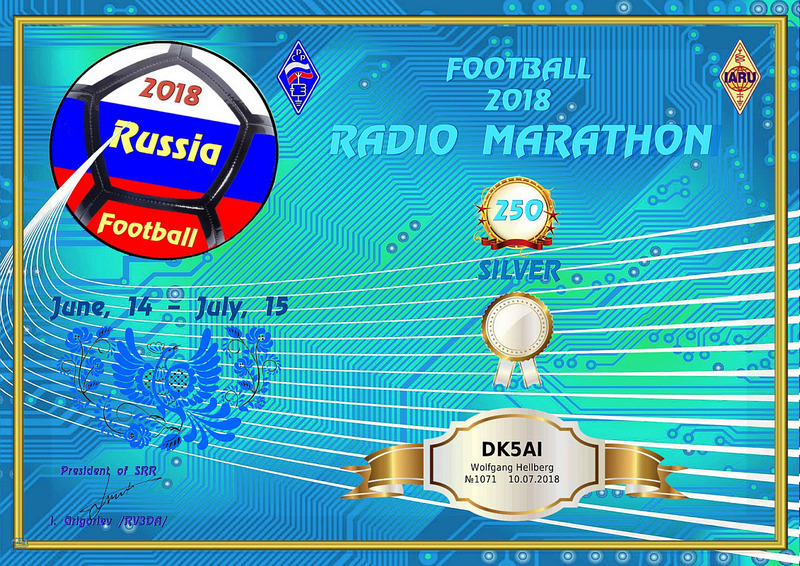 I have never been a fan of football before, so I did not pay any attention to all the activities and special stations during the period of this year’s World Cup in Russia. 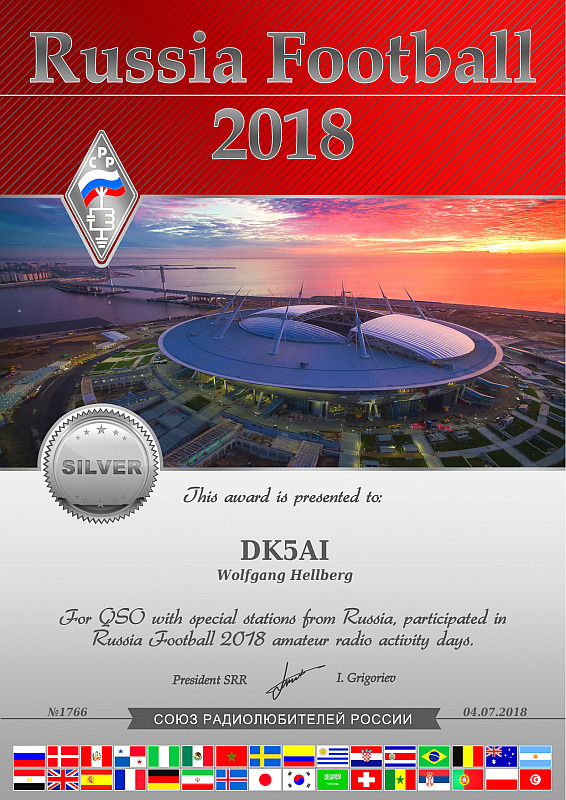 After about 2 weeks I worked one of the special stations on 50 MHz and decided to deal with the topic more closely. 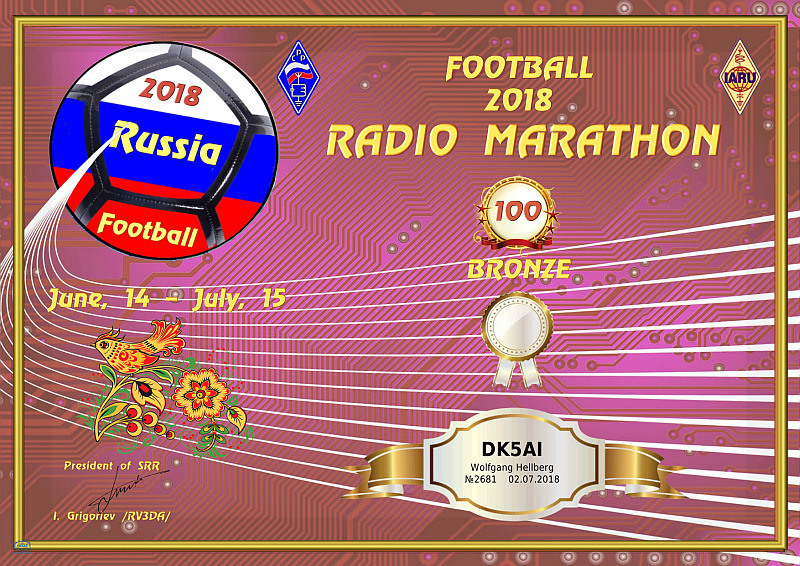 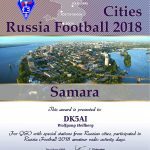 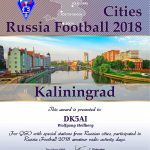 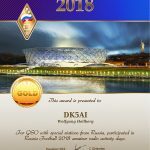 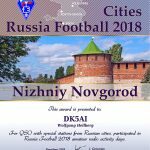 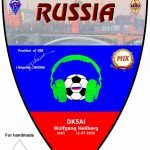 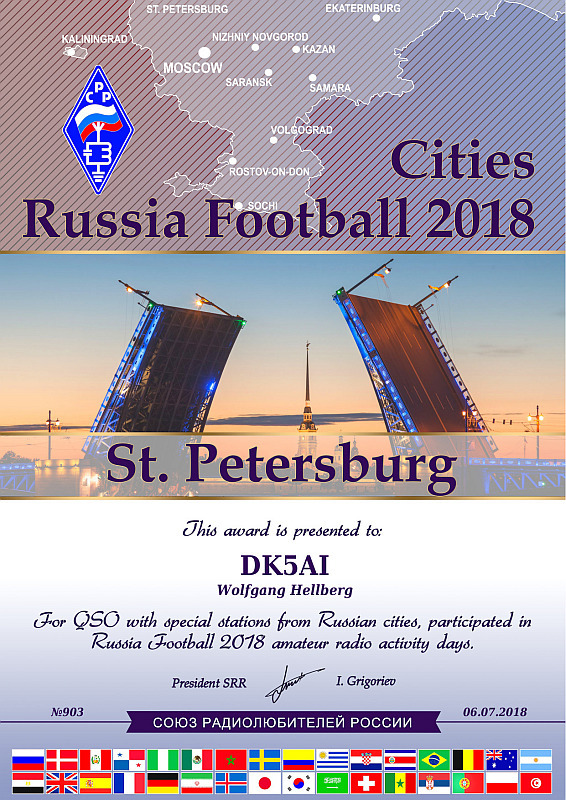 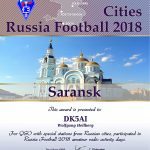 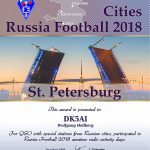 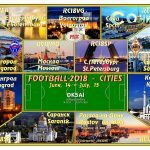 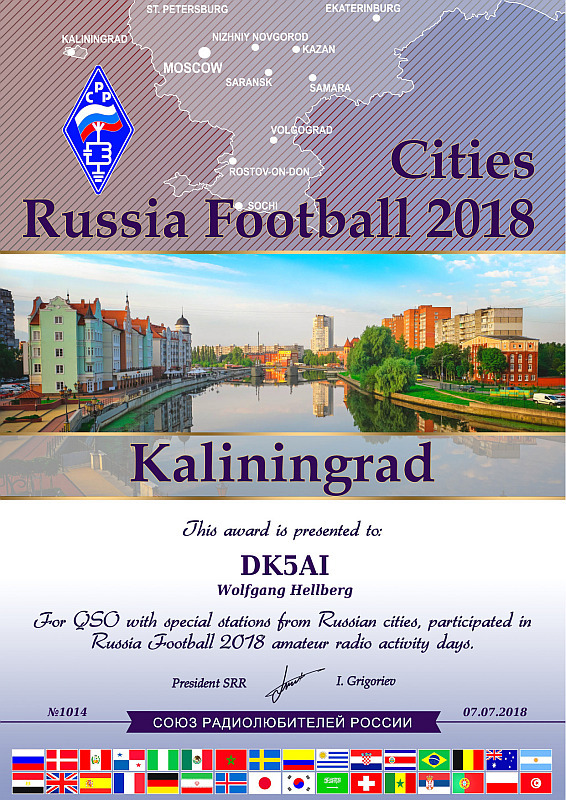 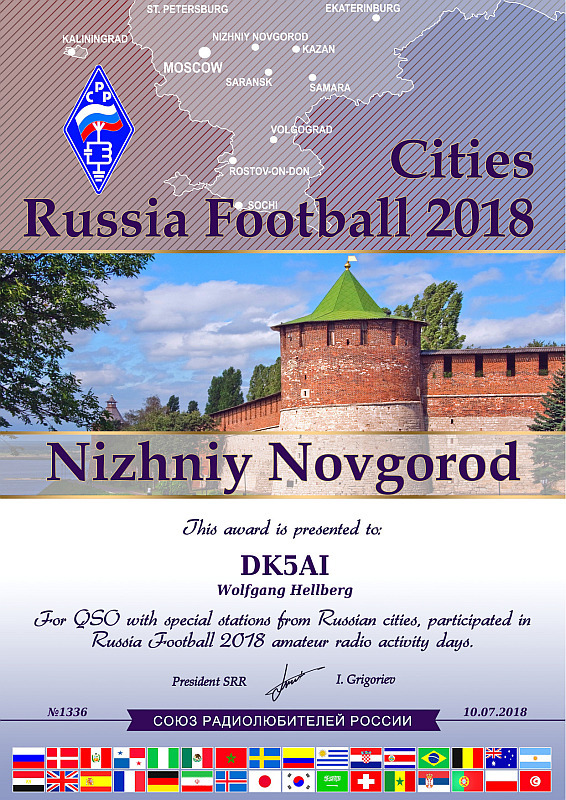 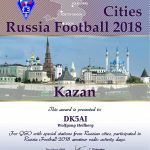 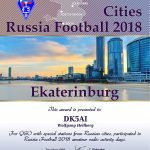 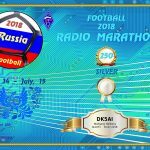 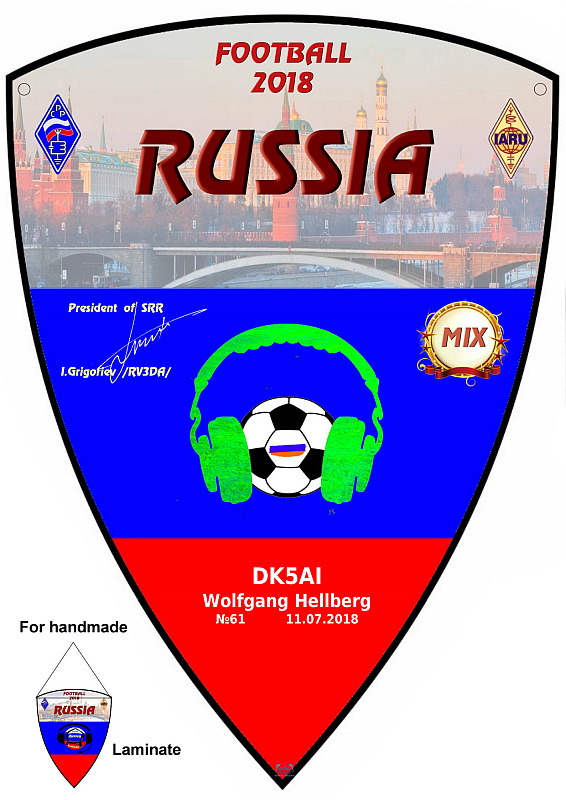 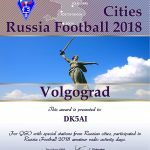 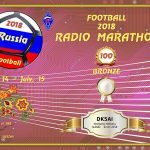 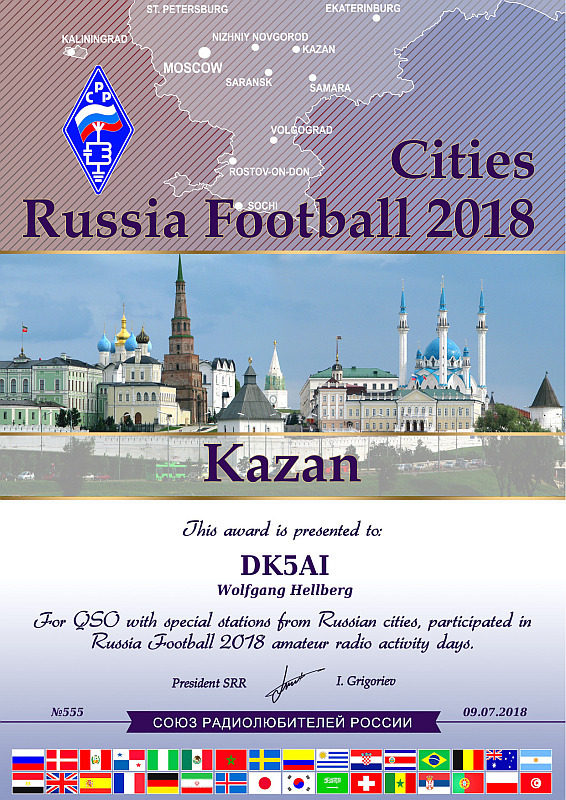 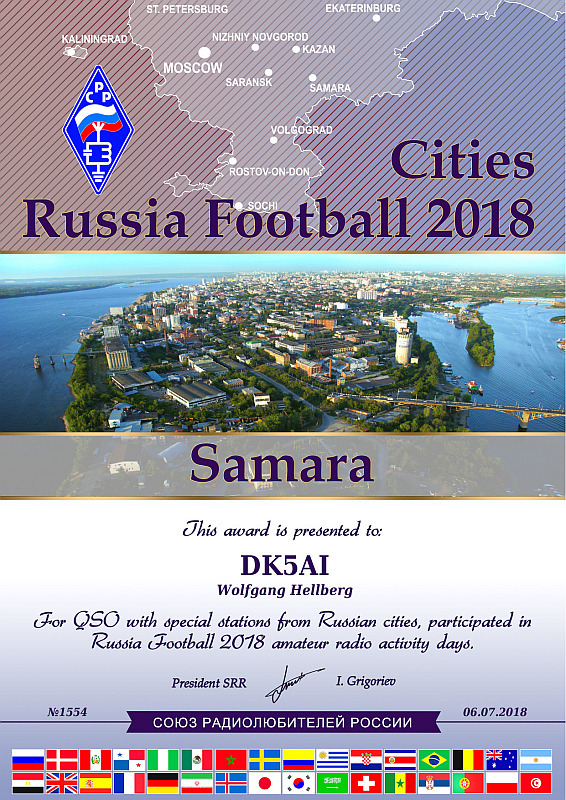 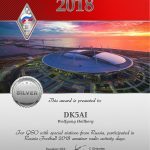 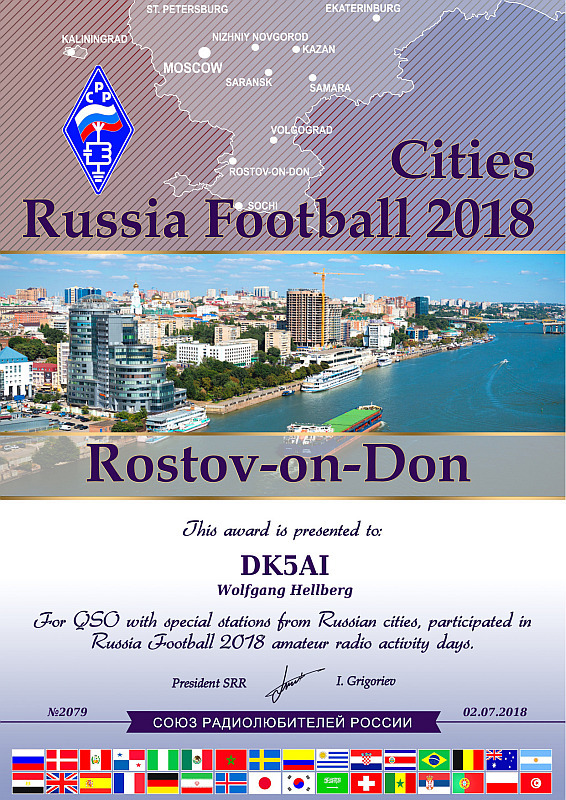 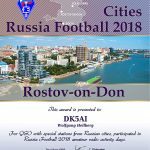 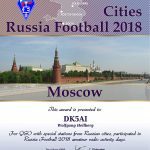 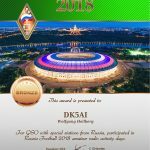 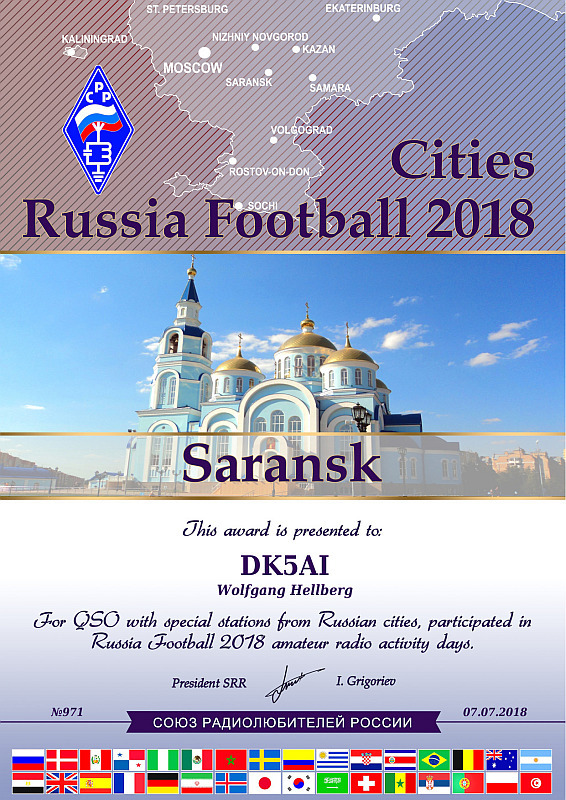 As during other events, the National Radio-Amateur Organization named SRR (Soyuz Radiolyubitelei Rossii) is organizing a radio marathon during the Games called “Football 2018 – Russia”. 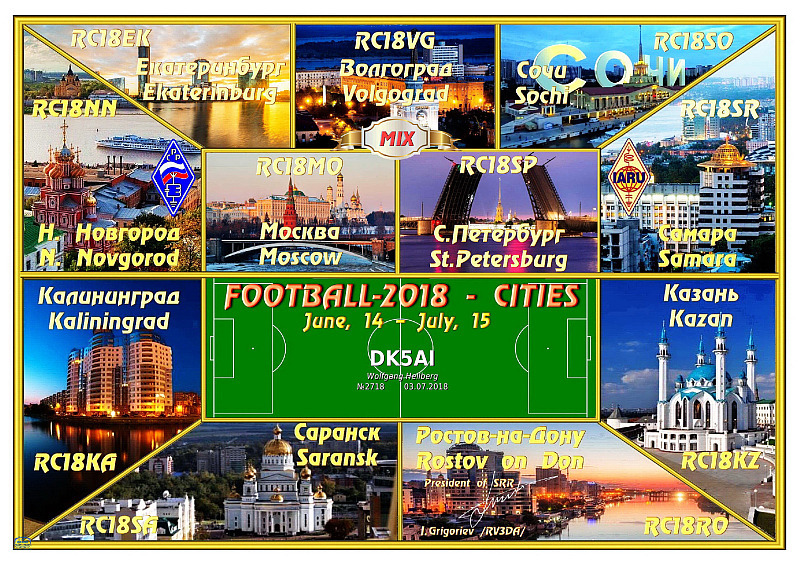 Dozens of different special stations RC18xxx and R18xxx from Russia were active. 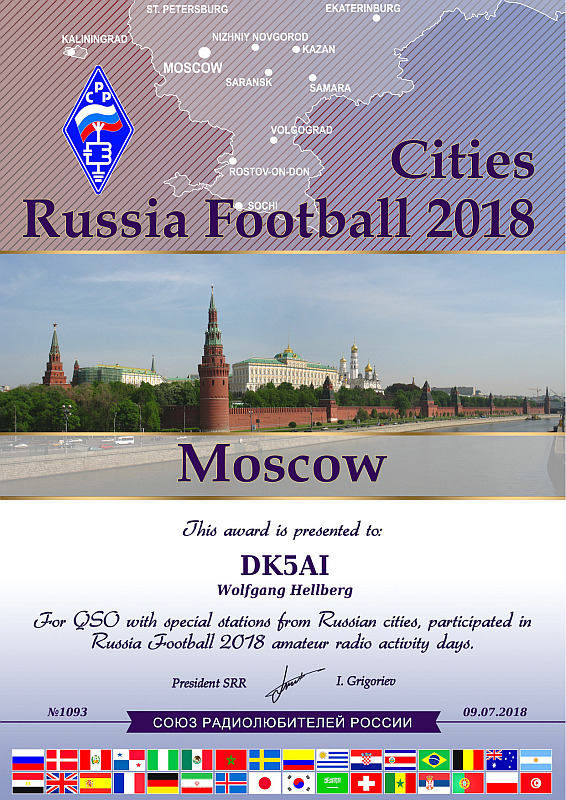 In addition, there were also special stations in member countries of FIFA. 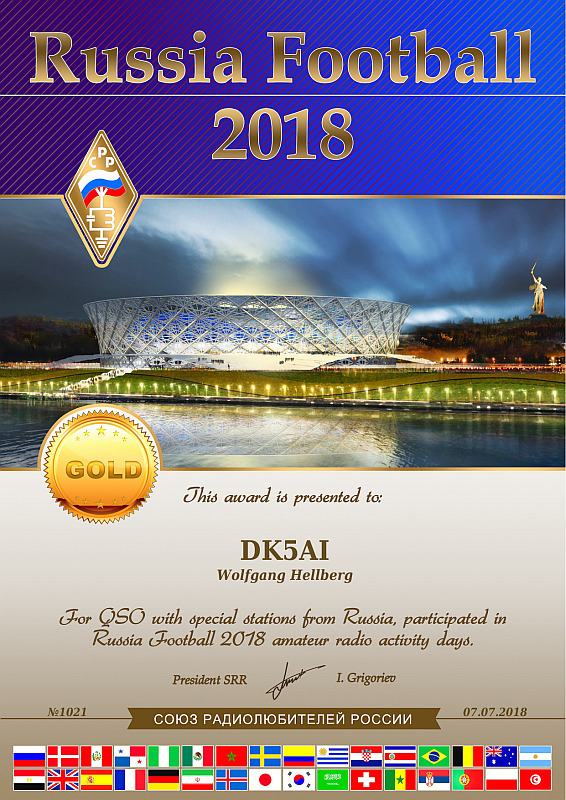 The exact Award conditions are here. 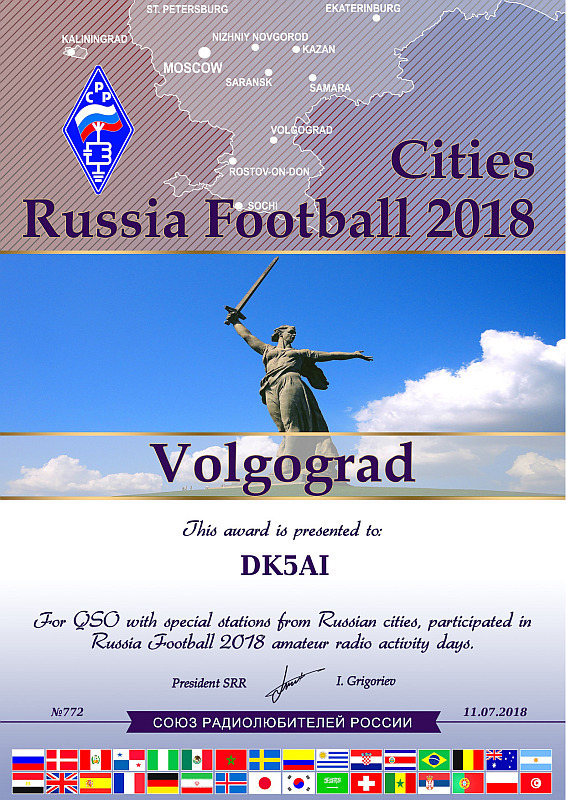  As always, all Awards are free of charge and can be downloaded as a PDF file. 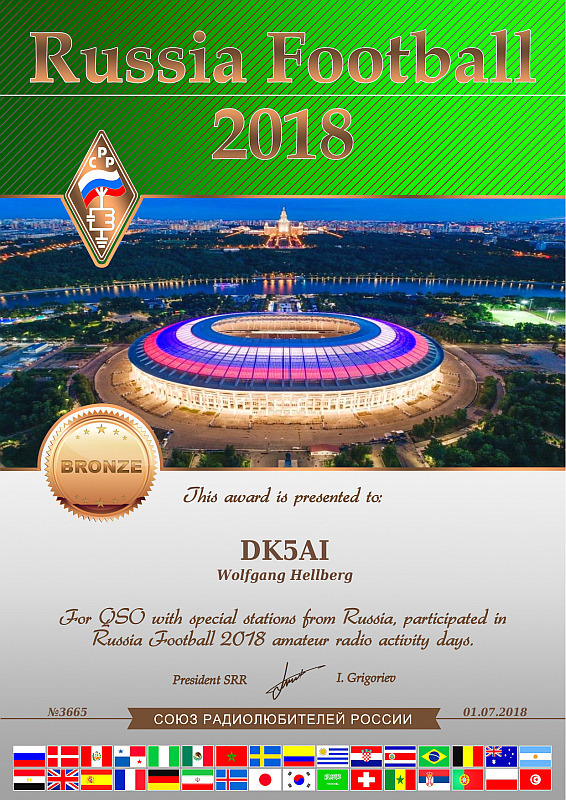 To make it short: I did not reach the highest Award class with 500 contacts, but over 260 QSO’s are in the log. 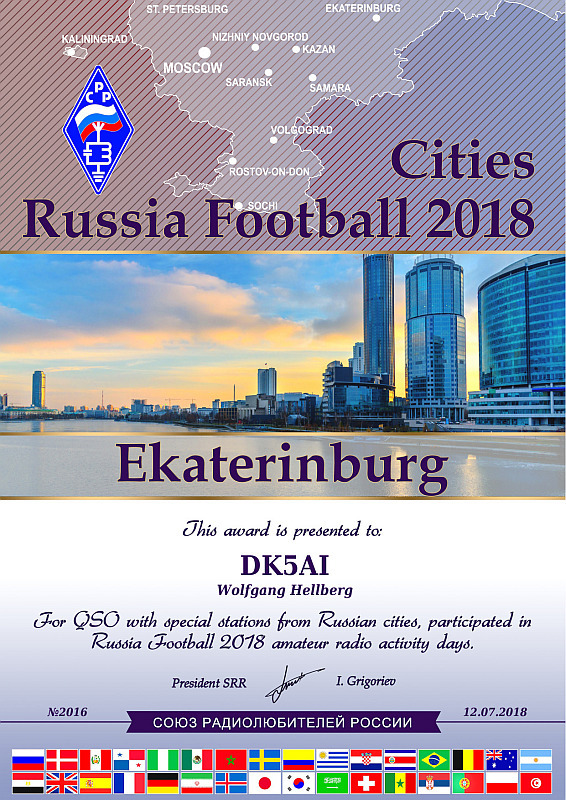 All in all, the activity was a lot of fun and it was worthwhile to work out these beautifully designed Awards.